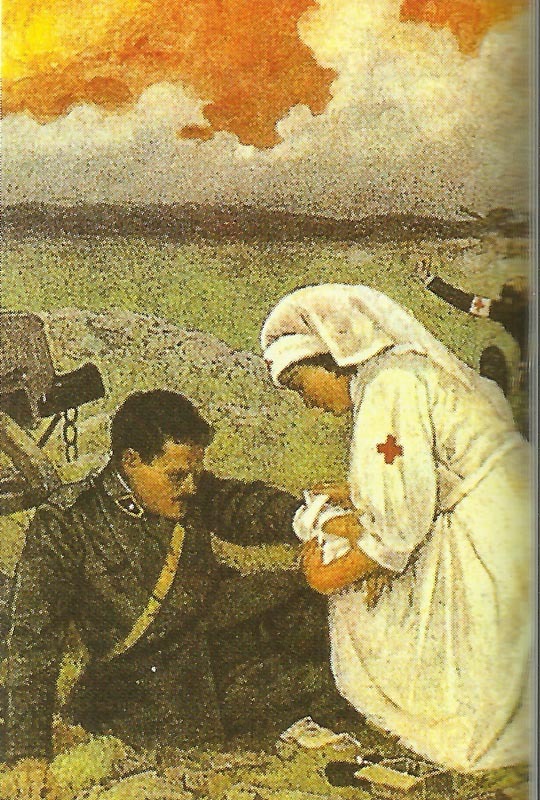 This poster is a reminder of the tireless efforts of the British Red Cross nurses. Britain: Women’s War Service Register opened but only 8,500 of 40,000 registered employed to end 1915. Treasury Agreement: 34 trade unions accept arbitration in industrial disputes. France: Land bought for new Citroen shell factory; 2,000 rounds per day on August 16; 10,000 on September 29 and 50,000 per day end of 1917. First Battle of Champagne ends as Langle gets Joffre to halt offensive. By March 23, 2,000 PoWs were taken since December 20, 1914 but advances minute for 100,000 casualties (including 2,450 PoWs). East Prussia: 4,000 Russians capture and burn Memel but Pappritz retakes it on March 21 and freed 3,000 PoWs and civilians. Dardanelles: Hamilton assumes command of MEF at Tenedos. Mesopotamia: ­33rd Indian Infantry Brigade lands at Basra until March 25. Nixon made GOC. His orders from March 24 include plan for advance on Baghdad. France: Calais bombed by German Army airship LZ12 (night 17/18). Western Front­: French bombers attack 7 rail stations: Bazancourt (northeast of Reims), Altkirch, Cernay (Alsace), Anizy, Chauny, Tergnier and Couey le Chateau. British negotiators leave Bulgar Aegean port of Dedeagach after DNI’s (Director of Naval Intelligence) vain effort to bribe open Dardanelles with £4millions is countermanded. France claims Syria and Cilicia in secret message to British ambassador.